I know that every one of you readers are patriots who love this nation and understand the sacrifices that help make it great. Here at the No One house, we remember all the fallen on Memorial Day. Yet, there is one we remember and miss every day. I keep personal stuff under wraps most of the time, but Robert was an extraordinary fellow and worth sharing. We were so blessed to have him in our lives for a time. The military life has been a good one. I just wish Robert were still part of it. Semper Fi, buddy. I hope everyone has a blessed day, and maybe some comfort from sorrow, should you need it. Much has been said about the GOP co-opting the Tea Party and the Grassroot candidates once they get to Washington. It would seem to me that the establishment GOP has forgotten their own Creed. Compare the Republican Creed with the Principles of the Richmond Tea Party in VA. It would seem that the ideals are too similar to ignore. The GOP would be better served to return to their own roots and recall the reason the party was established in the first place. 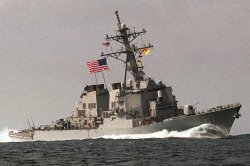 On this day in the year 2000, the guided missile destroyer USS Cole was attacked by Islamic terrorists associated with Osama bin Laden's al-Quaeda group. Today is the tenth anniversary of that attack. Seventeen American sailors were killed and thirty-eight injured in the attack which severely damaged the ship. The tenth anniversary of the bombing of the U.S.S. 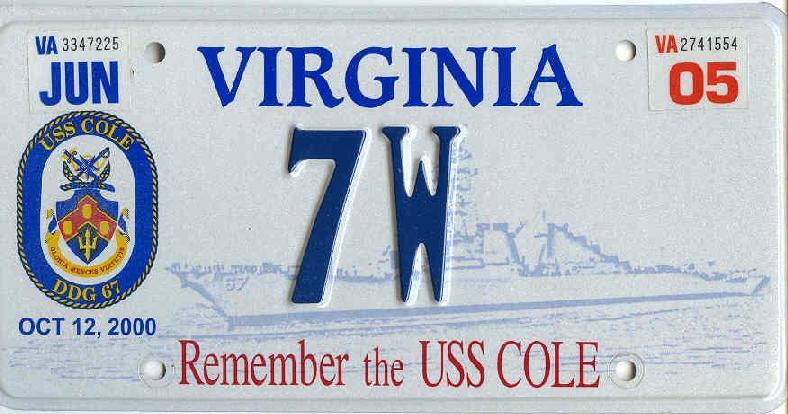 Cole on Tuesday conjured up painful memories for the families of the 17 Navy sailors who died in the terrorist attack, but it also revealed simmering anger at the Obama administration over the lack of concrete progress in bringing the alleged perpetrator to justice. In the months since, the elder Clodfelter’s good feeling towards Obama and his team has evaporated. Obama to address the nation about withdrawing American combat troops from Iraq. Let me be clear about this, this is a great achievement but I disagree with the attribution. Nearly every morning I begin my day with a brisk walk through our neighborhood.It is a fairly large and there are multiple routes I could take but and everyday I follow the same trek. About three-quarters of the way through I pass the home of Maris and Vera Adcock which puts things in perspective for my day. You see Maris and Vera Adcock are the Gold Star Parents of Captain Shane Timothy Adcock. 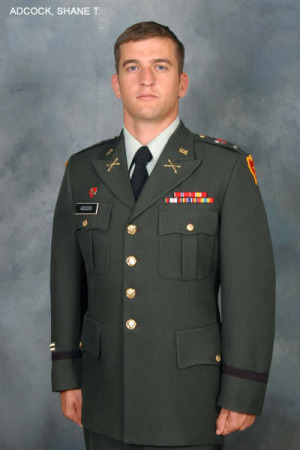 Captain Adcock made the ultimate sacrifice on October 11, 2006 in Hawijah, Iraq. Captain Adcock and his sister grew up in my neighborhood, they went to school with my kids. Like many Americans, none of my immediate family members serve in the armed forces. 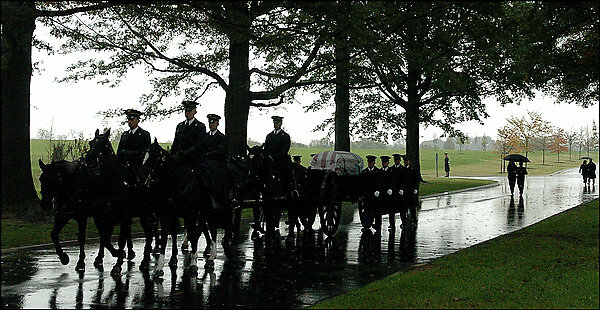 During this war, unlike the second World War, most of us have not had make any serious sacrifices. To keep things in the proper perspective I make sure that I pass by the Adcock’s home everyday. As I pass I view the small flag in the window with a gold star and it reminds me that there are men and women in our armed forces are laying there lives on the line for us everyday, it reminds me that parents, spouses, children are left behind so their loved ones may serve us and allow us to live our lives. It is to those that have served and their family members that I attribute this great achievement. It is to those we are forever indebted to. Let us not forget those to whom honor is due.